COLUMBIA, S.C. (Sept. 18, 2014) — Colonial Life & Accident Insurance Co. announced today it will sponsor the hit TV series “Shark Tank” this fall on CNBC. The show allows entrepreneurs to pitch their best business ideas to some of America’s most successful businessmen and businesswomen. 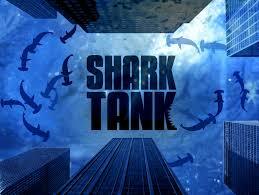 It’s the number one business program on cable TV with viewership exploding by 300 percent in the last year. Small business is the engine of America’s economy and an important part of Colonial Life’s business. Colonial Life helps protect more than 3 million of America’s workers at more than 80,000 organizations — most of them small businesses. The sponsorship launches Sept. 22, with the first episode featuring a video introduction by Colonial Life President Tim Arnold and a new commercial from the company. Colonial Life will also debut a new digital marketing campaign in the coming weeks. The episodes, which will air at 8 p.m. (EDT/ EST) weeknights, will feature top entrepreneurs and business pitches from previous seasons. Colonial Life & Accident Insurance Company is a market leader in providing financial protection benefits through the workplace, including disability, life, accident, cancer, critical illness and supplemental health insurance. The company’s benefit services and education, innovative enrollment technology and personal service support more than 80,000 businesses and organizations, representing more than 3 million working Americans and their families. ©2014 Employee Benefits Agency, all rights reserved.